We take our smartphones with us wherever we go, and act as a multimedia hub for all our entertainment. Music is one of the most common forms of entertainment we enjoy on our smartphones, and we usually need a good set of headphones in order to properly enjoy this pastime. The ZealSound HDE-300 In-ear Noise-isolating Wood Headphones hopes to address this need in several ways. The headphones are priced at $22 on Amazon, and we were fortunate to receive a sample to test and review for our readers. First impressions of this unit are very promising, with the design and feel of the headphones being the main highlight. ZealSound has been kind enough to package their headphones with some added goodies. You get three sizes soft silicon ear tips to ensure the headphones fit your ears comfortably. You also have a cable clip which ensures the mic is close enough to reach in case you have to take an incoming call. 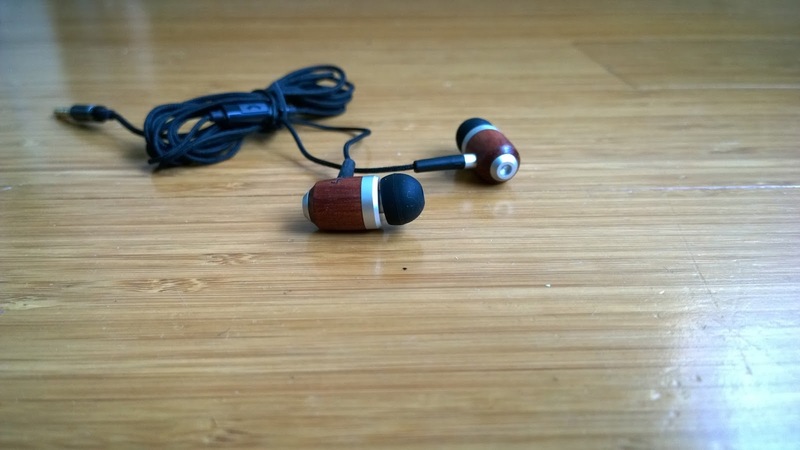 Unlike most regular headphones, the ZealSound HDE-300 uses real wood to achieve the type of audio quality you would expect from a headphones that cost five times as much. These headphones have been designed and developed to offer pristine audio quality at an excellent price point. The manufacturer has built these headphones to not only look great, but also made them comfortable to wear throughout the day. The cable on our heaphones are usually their weakest point, giveing way after a few months of heavy use. ZealSound has identified this problem area, and outfitted the HDE-300 with a cable made of strong fiber. This cable is around 53 inches long, giving you plenty of distance between your music player and your ears. The materiel is also highly durable and shows no signs of wear since I've started using them. While you generally wont expect a lot out of an "affordable" headphone, the ZealSound HDE-300 aims to break that stereotype. The wood crafted housing, combined with the 10mm neodymium magnet drivers deliver a rich and high quality experience for the users. You get deep bases and clear tones both in your music and your phone calls. Speaking of incoming phone calls, the ZealSound HDE-300 is also outfitted with a built in microphone. The mic is integrated into the cabling itself and makes it easy for hands-free calling. When you’re receiving a phone call, just tap the small button to answer the call. It will pause your tunes and once you’re done with your call, you’ll be right back at it, listening to your song right where you left off. While we live in an era of wireless technology, its actually refreshing to use a wired device which is so convenient and easy to use. With its rich wood finish, beautiful design, built-in mic, and tangle free cable, the ZealSound HDE-300 is easily one of the best headphones I have used with my smartphone to date.